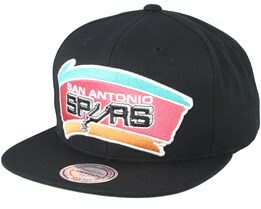 The American brand Mitchell & Ness is one of the leading manufacturers of snapback caps. 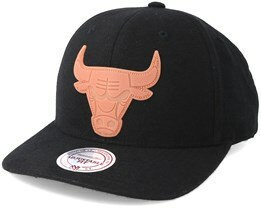 With great quality and feel, Mitchell & Ness have broken through into the big time and have become a favourite among all snapback enthusiasts. 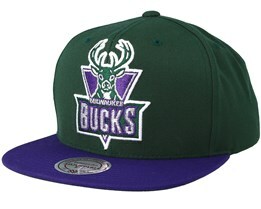 They supply to several teams from virtually all the major US sports leagues and there are snapback caps from Mitchell & Ness to fit everyone. 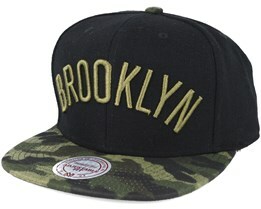 The brand for all who love snapbacks. 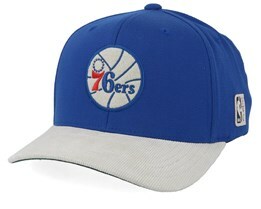 Mitchell & Ness was founded in 1907 in Philadelphia. 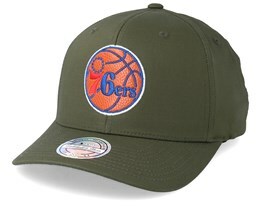 Aside from caps they also produce plenty of sports shirts for different American teams, in addition to lots of other sportswear. Hatstore has a huge variety and can offer virtually anything from the Mitchell & Ness collection of snapbacks and caps. 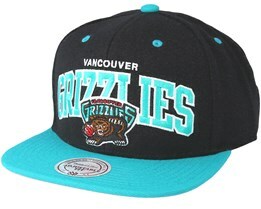 Take advantage of our wide array today, and find your new favourite cap from Mitchell & Ness. 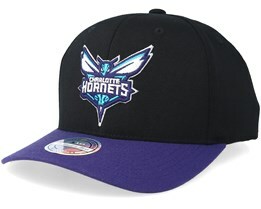 You can buy new Mitchell & Ness caps at Hatstore. 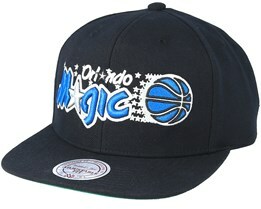 We have an extremely wide range of snapbacks and caps by Mitchell & Ness. 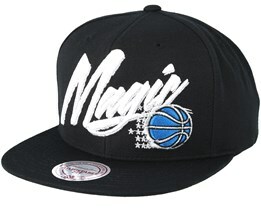 You'll find classic bestsellers, the latest new designs and even exclusive products are developed in cooperation between us and Mitchell & Ness. 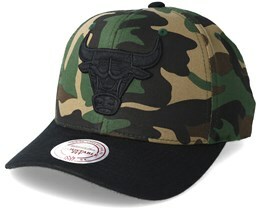 Among Mitchell & Ness’s absolute bestsellers are the Team Arch and Wool Solid models. 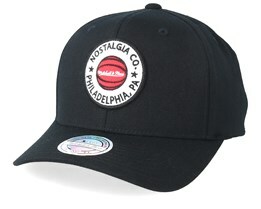 These classic models, mixed with fantastic new designs every month, make Mitchell & Ness one of the world's biggest brands of caps. 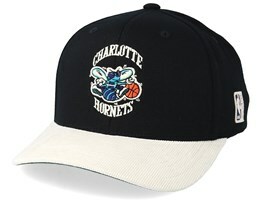 Mitchell & Ness have a solid history, a strong brand and many fans. 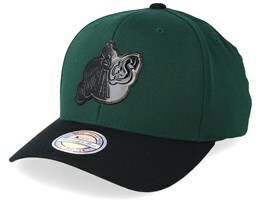 With their license for NHL, NBA, and MLS, they can offer team caps in fantastic designs. 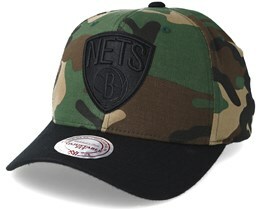 Caps and snapbacks are the main part of the Mitchell & Ness catalogue, but beyond that, they also offer other garments such as sweaters, tank tops and shorts. 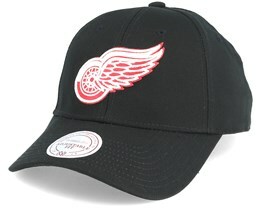 Mitchell & Ness caps are not only popular for their appearance. 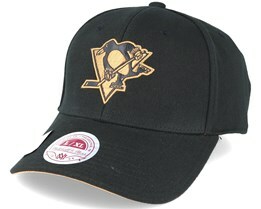 The fit is famous among cap lovers and for many, the fit has become a standard for how a cap should be. 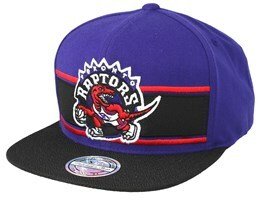 Many consider a Mitchell & Ness cap to be the obvious choice when it comes to snapbacks. 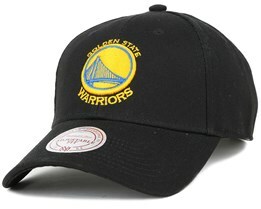 Many celebrities have also opted for Mitchell & Ness caps. 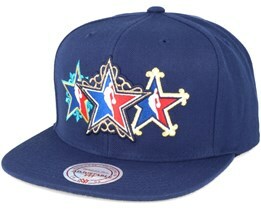 Jay-Z, Justin Bieber, LeBron James, Lil Wayne and many others regularly wear caps by Mitchell & Ness. 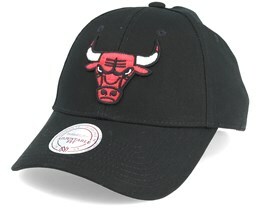 With its history, the Mitchell & Ness brand has become very popular. They have a big focus on quality and attention to detail, which is an added value of the products, something that their slogan “DEFINING AUTHENTIC” clearly expresses. 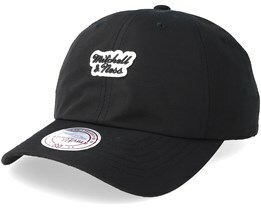 If you are looking for quality, feel and a perfect fit, then Mitchell & Ness is the brand for you. 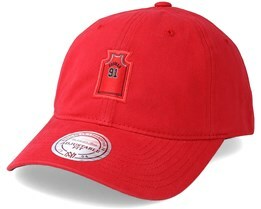 At Hatstore, you can even personalise your Mitchell & Ness Cap by adding custom embroidery on the side. 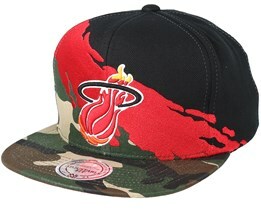 It makes your cap personal and unique compared to other caps. 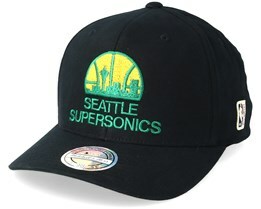 Of course, you also get fast delivery and helpful customer service. Beanies are one of the strengths of the Mitchell & Ness brand. 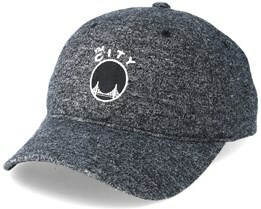 With many models, and licensing for all the NBA and NHL teams, they have an excellent collection for those looking for a modern beanie of really high quality. They mix vintage with new and trendy, creating a range to suit all tastes. This has made them one of the largest brands in licensed merchandise. With a strong focus on trends and design, they have also managed to charm people who are not necessarily die-hard sports fans. 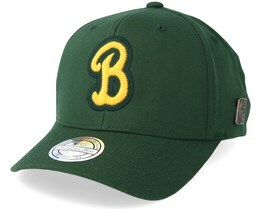 Over and above the large American sports teams, they have built a very strong brand that stands for many of the ideas behind sport. 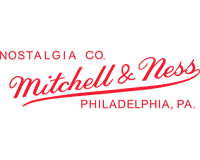 With their beanies and other memorabilia, Mitchell & Ness have created and formed a large part of the world-famous American sports culture. 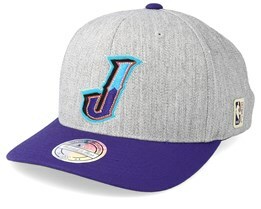 The big league and team logos, along with high-quality sports clothing has been a success story for many years, and will be so for a very long time to come. 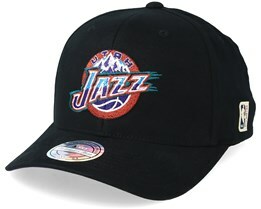 In other words, one can say that there is plenty of culture in a beanie from Mitchell & Ness.